Have you ever crawled out of bed in the morning, just to find that you can’t get the hot water to start flowing? There is nothing more frustrating than this. While you may have to take a cold shower, you don’t want this problem to drag on any longer. Instead, you need to find out what’s going on. · Is the pilot light on? · Is it possible there is a gas leak leading to the water heater? 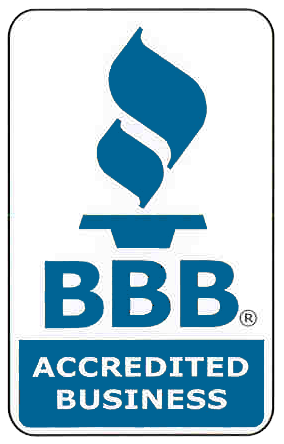 · Does your water heater need replaced, maybe because of a leak? All of these questions can be answered by visiting the location of your water heater and doing some basic research. Note: you may be lucky to find that your problem is something basic, such as a thermostat that was accidentally turned down. While the most common cause of no hot water is an issue with your water heater, don’t overlook the fact that something could be wrong with the actual tap. To determine if this is the cause, move from one room to the next to check each tap for hot water. If the problem is isolated, it may not be your water heater causing you trouble. It doesn’t matter if you need a new water heater or are facing some other plumbing challenge, don’t hesitate to contact us for assistance. Most homeowners don’t spend much time thinking about their water heater. Instead, this is something they rely on, day after day, with hopes that it will never break. 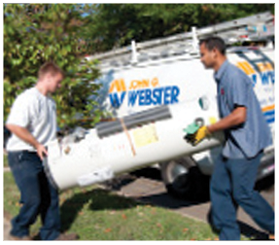 Unfortunately, there are times when a water heater needs replaced. Adding to this, you don’t want to wait until disaster strikes to make a change. If your water heater is 10 or more years old, it’s time to consider an immediate change. Sure, it may provide a few more years of service, but its life is coming to an end. It’s better to change it now than to wait for something bad to happen. Do you recognize a bit of moisture around the base of your water heater? If so, this could be the sign of a fracture or small leak. It may not be a big deal right now, but you can be rest assured that it will worsen with time. Listen closely when your water heater is on. Do you hear banging sounds? How about rumblings? Both of these are signs that your water heater is just about at the end of the road. Not only can these noises eventually lead to a leak, but they’re also associated with a heater that’s not working at peak efficiency. If you’ve come to the conclusion that you need to have a new water heater installed, don’t hesitate to contact us online or via phone. We can take on this job without delay! Is your water heater shot? Is it time for a replacement? If so, you need to learn as much as possible about the installation process. Did you know that the average life of a water heater is 12 years? With this in mind, there’s a good chance you’ll need a replacement at some point. · A faulty water heater can cause both water and mold damage, both of which can have a negative impact on your home or business. · The installation process can be fast and efficient, with most jobs completed within a couple hours. · An old water heater that isn’t functioning properly can be dangerous. It’s best to get this out of your home or place of business as quickly as possible. It’s important to understand that today’s water heaters are safer and more efficient than those of the past. If you don’t know when your water heater was installed, if it’s been acting up, you may want to look into a change. For answers to all your questions and professional installation, contact us at your earliest convenience. We’re ready to help!